Welcome to the Modern College of Arts, Science & Commerce Library. We try to satisfy information needs of library users at the maximum level. 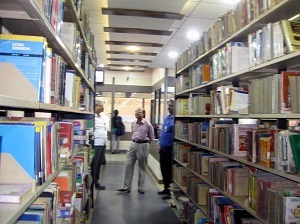 We are giving technology based facilities and services such as Internet facility, Web-OPAC, Reference service through online databases, e-books & e-journals, e-bulletin, online information literacy programme, using anti plagiarism software for research scholars, book issue return through barcode scanner etc.